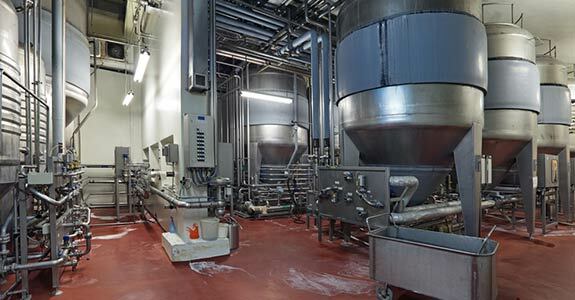 It takes a seasoned, experienced professional to facilitate the proper placement and installation of winery and brewery equipment—a single error in the installation process could put you and your fermented products behind schedule or worse, lead to a major malfunction that stalls production before it even begins. American Refrigeration Inc. will oversee all facets of your brewery and winery equipment installation in Oregon and provide you with a seamless process that quickly aligns your production process so you can start making the beer, wine and other spirits you’re known for. With our team of experts on the job, you can expect quick installation, minimal room for error and a finished work site that’s ready for you to quickly take advantage of. More than just putting your equipment in place, the knowledgeable experts at American Refrigeration Inc. will make sure it’s appropriately merged with your existing system, while also taking the time to calibrate and tine-tune everything, to mitigate any startup issues you might otherwise experience with brand new functional equipment in place. We’re dedicated to giving you the full installation treatment, right down to the peripherals that come with a quality install, from mechanical, electrical and refrigeration angles that ensure an encompassing installation. When you need assistance receiving and installing brewery, winery or other distillery equipment, know that American Refrigeration Inc. is here to provide you with nothing short of excellent service. For more information about our capabilities and experience, please feel free to give us a call today at 541-688-0939.